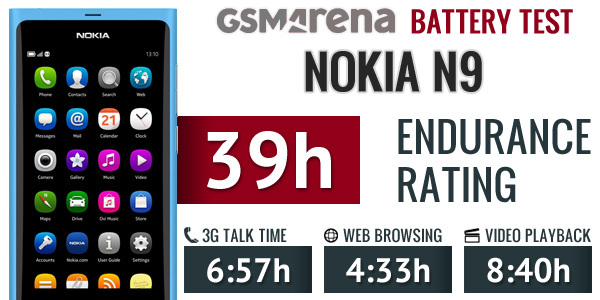 There was another recent article that detailed a full battery test for the N9, saying it does quite decently. Very close to Nokia’s 7h (very nice that a manufacturer produces as advertised battery life, eh 7h macbook air that’s really closer to 2h) in 3G talk time, 4H 33min in WiFi web browsing and of course that impressive 8h 40m video playback. How’d the N9 update affect Battery life guys? Any likely changes in 1.2? I guess if N9 did need an update to fix battery life, Nokia would make it so that it actually does something, not unlike some other phone.